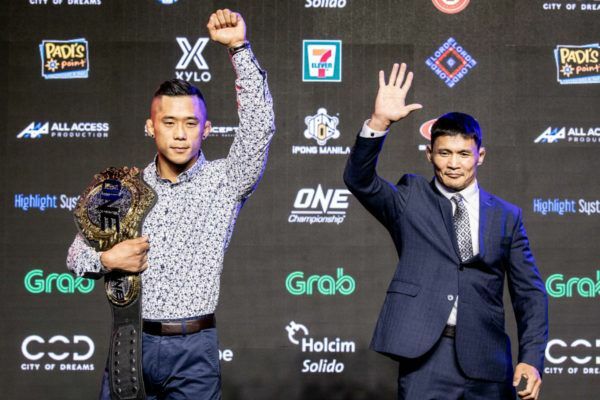 The ONE: ROOTS OF HONOR card thrilled the Mall Of Asia Arena in Manila, Philippines with a night of stunning finishes and unforgettable battles. On Friday, 12 April, World Title gold was on the line in the main and co-main event bouts, and a pair of knockout performances topped off a remarkable night of action. Here are five of the standout moments from an evening that was jam-packed with martial arts excellence. Martin Nguyen clinches a scintillating flying knee knockout victory to retain the ONE Featherweight World Title! 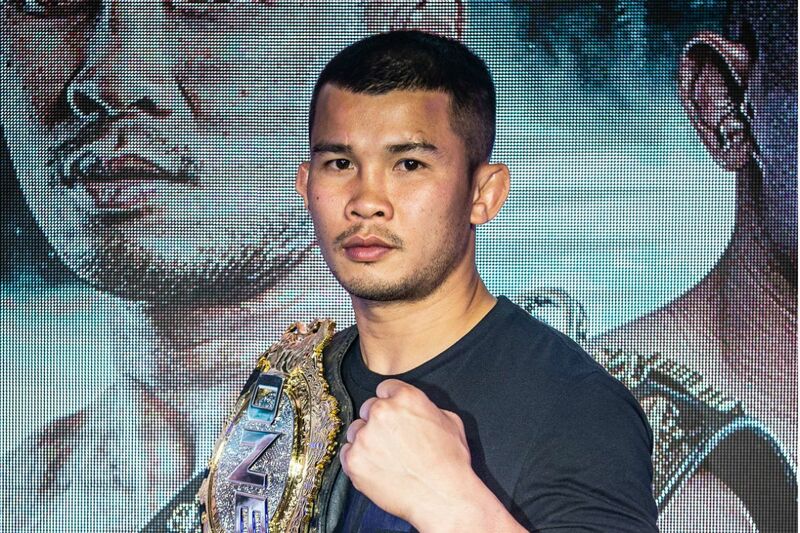 ONE Featherweight World Champion Martin “The Situ-Asian” Nguyen had nothing but respect for challenger Narantungalag “Tungaa” Jadambaa ahead of their headline match-up in Manila, but that meant he was even more motivated to defend his belt against the Mongolian legend. Nguyen said he wanted to outstrike his challenger, and he did just that. He laid the groundwork with damaging low kicks to “Tungaa’s” calf, and they paid dividends in the second round. 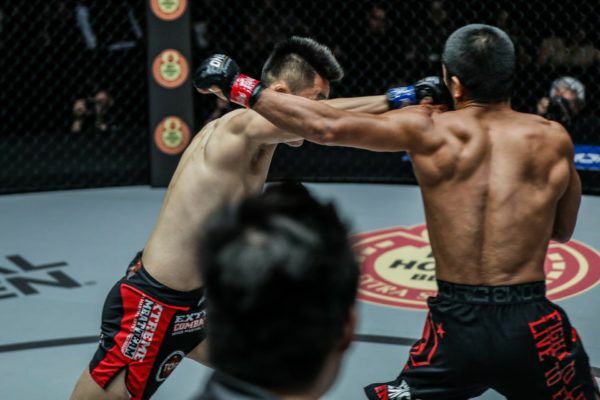 Two pinpoint shots to Jadambaa’s lead leg made him unsteady on his feet, and when he stumbled back toward the cage, Nguyen saw his window of opportunity for the most spectacular of finishes. As “Tungaa” was focused on the damage to his left leg and dropped his guard, Nguyen flew through the air with a right knee that landed right on the chin and knocked out the teak-tough challenger, who had not been finished by strikes in 15 years. 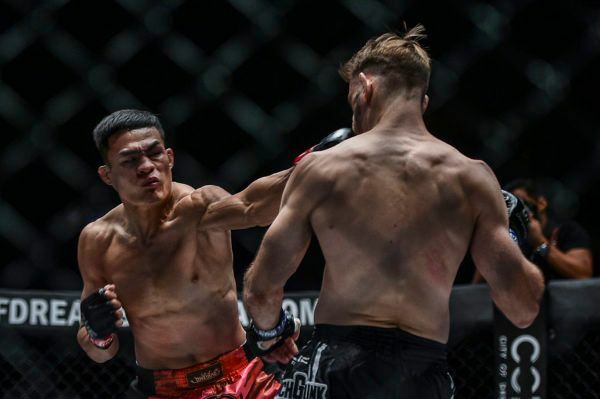 Nguyen’s decision to focus on building his legacy as world’s leading featherweight was vindicated, and in this form, he will be difficult to topple. Joshua Pacio scores a MASSIVE KO, reclaiming the ONE Strawweight World Title! 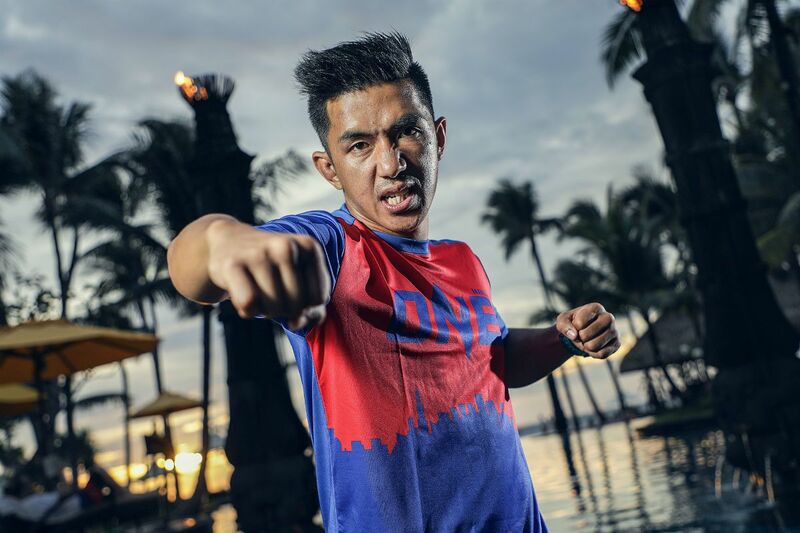 The first quarter of 2019 saw Team Lakay’s collection of World Titles evaporate, but Joshua “The Passion” Pacio scored an incredible knockout over Yosuke “The Ninja” Saruta to turn their fortunes around. The bout did not go all Pacio’s way as a big Saruta right hand sent him to the canvas in the first round, but he saw out the tough spot and the bout was closely contested from there – much like their original battle in January. However, in the championship rounds, the Baguio City man let rip with a huge head kick as “The Ninja” moved forward for an overhand right. His knee collided with the side of Saruta’s head and dropped him face-first onto the canvas. There was no need for any follow-up shots – the bout was over, and Pacio was ONE Strawweight World Champion again, just like that. Edward "The Ferocious" Kelly sends Manila into a meltdown with a thrilling TKO of Sung Jong Lee at 2:51 of Round 2! The Manila faithful almost blew the roof off the Mall Of Asia Arena when Edward “The Ferocious” Kelly turned in a vintage performance against Sung Jong Lee. The South Korean played his part in a riveting featherweight encounter as he constantly looked to attack for submissions on the ground, but Kelly worked out of a series of tough spots by gritting his teeth and hammering away with punches at every opportunity. In the second round, Lee went after a heel hook that looked close, but “The Ferocious” had no intention of tapping in front of his countrymen. He sat in the leg lock and pounded away with punches and hammerfists to wear down, and then eventually finish the 10th Planet Jiu Jitsu Korea representative. When the TKO was called, there was hardly a single Filipino in the building who was not on their feet. 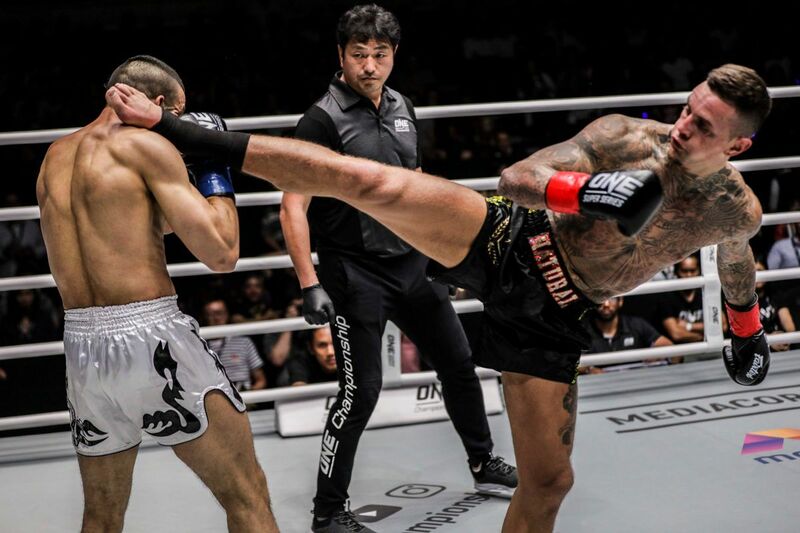 Muay Thai legend Lerdsila turns in a striking masterclass to clinch a unanimous decision victory over Kohei Momotaro Kodera! 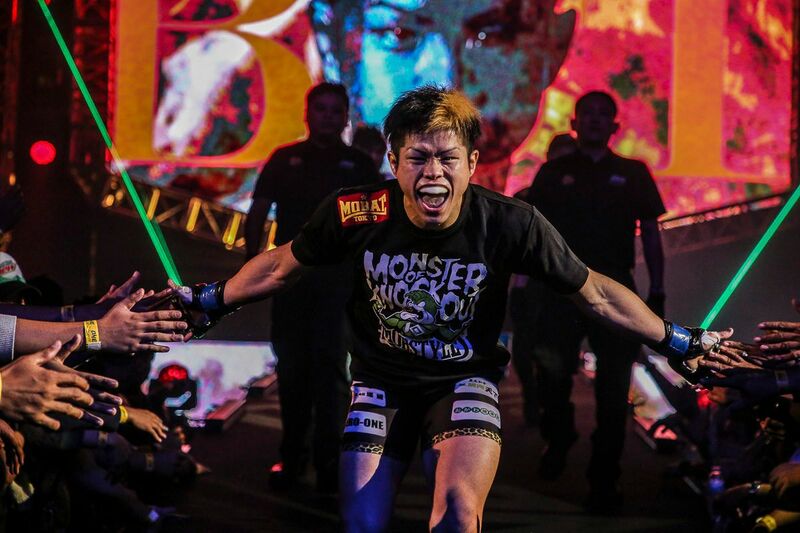 The stylistic clash between elite strikers Lerdsila Phuket Top Team and Kohei “Momotaro” Kodera delivered an entertaining three-round bout in the ONE Super Series flyweight division. “Momotaro’s” strong boxing and diverse kicking attack gave the Thai superstar some problems, but “Mr. Lightning’s” experience allowed him to navigate the unorthodox offense of his rival. He stayed true to his lifelong education in “the art of eight limbs,” and dominated with sweeps and elbows from the clinch, as well as his trademark counter-striking. Kodera never stopped attacking, but he just could not solve the complex riddle of the three-division Rajadamnern Stadium Muay Thai World Champion. Lerdsila got the nod after a fascinating showcase of stand-up prowess from both athletes, and he is now 3-0 in ONE Super Series. Filipino superstar Ramon Gonzales kicks off ONE: ROOTS OF HONOR by submitting Akihiro Fujisawa via guillotine choke at 1:19 of Round 1! Filipino favorite Ramon “The Bicolano” Gonzales got the Manila crowd fired up early in the evening thanks to his first-round submission victory over Akihiro “Superjap” Fujisawa in the event’s opening contest. The unbeaten “Superjap” tried to take the contest to the ground to stop Gonzales’ dynamic kicking game, but the karate stylist’s swift submission offense took him by surprise. “The Bicolano” latched straight on to his opponent’s neck when he shot in for a double-leg takedown and, despite the Japanese athlete’s best efforts to escape, he could not free himself from the tight choke. Gonzales drove his man into the fence and put on a crushing squeeze to force the tap. The elated crowd cheered as their man picked up his third consecutive submission victory. Stay tuned for the results of ONE: ROOTS OF HONOR, coming to you live from Manila, Philippines. 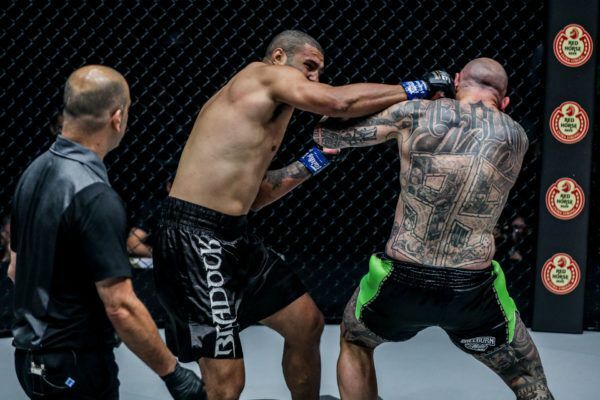 Heavyweight knockout artist "Braddock" slayed "The Giant" in just 74 seconds at ONE: ROOTS OF HONOR in Manila. “Pretty Boy” upset the Filipino hero and secured the second-fastest KO in ONE featherweight history. The Thai survived a late onslaught of elbows to pull away with the victory at ONE: ROOTS OF HONOR.